Las Vegas’ own Cimarron-Memorial High’s robotics team, the High Rollers, took second place this year at the Robotic World Championship held in St. Louis, Mo. The competition attracted more than 600 teams from 23 countries. 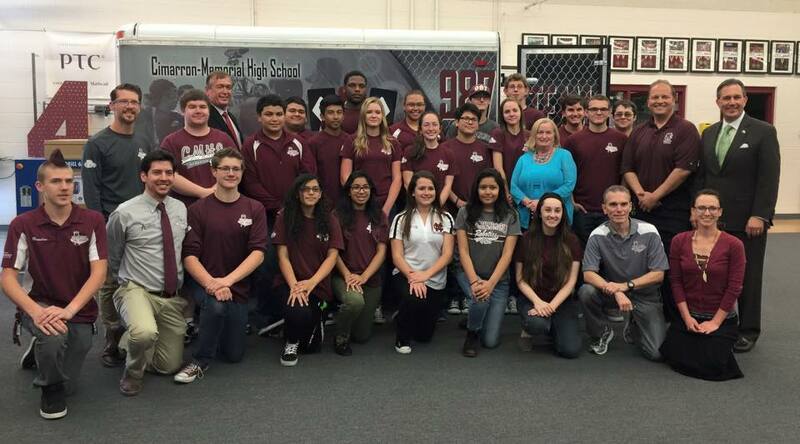 Cimarron-Memorial High’s robotics team was created in 2002. The program immerses its 80 members (equally female and male) in engineering design, math and science. This engineering classroom has gained momentum and touts a 100 percent graduation rate. The High Rollers’ next competition is in China in August 2015. They took first place last year and Stensrud says the travel is made possible through community sponsorships and donations. Cimarron-Memorial High currently has a GoFundMe campaign to raise $20,000 for the China trip.